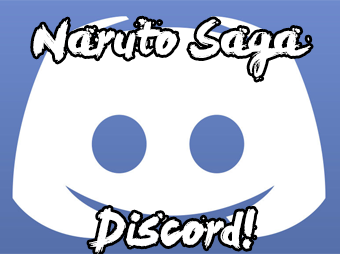 Naruto RP Saga » Ninja Scroll » Clans » The Taken. Clan History: Where'd it start....was it one point? That was the nature of many things - a complex network of points that often could not be traced back to a single origin. It was one's job in life, maybe, to navigate that interwoven matrix of things. Data was perhaps the most appropriate word. Cold, hard facts are the core of this world for some people. However, if those people grew up in the family of a ninja, or even a circumstance where they had little option to become one, they would find that the way things worked was not always as such. The world of ninja may be defined by conflict, but what of the people that never wanted to fight? Surely there was a way they could be of assistance to those close to them without having to regularly engage in armed combat. That was the solution they sought. The Taken aren't a family, a loose gathering of people with a similar bloodline, or even an organization - it is rather a very obscure denotation that is almost completely unused outside the most academic of writings, which are, ironically, by those with this exact ability. Needless to say, it would take one to know one, as it's written in a way that only someone skilled in their Encrypting methods could hope to uncover it. Because they are so varied and generally unassociated, it's really unheard of to relate two of this type together. Not so ironic, maybe, that those engrossed in knowledge are so exempt from being included. 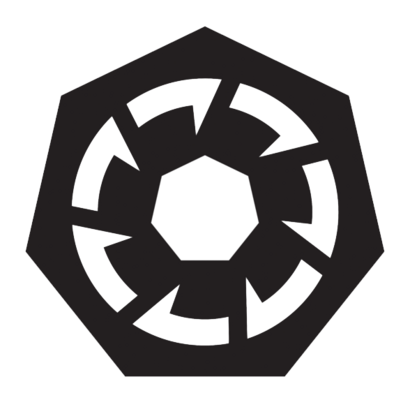 Kekkei Genkai Description: The Taken, though not a single clan or family, are a group of people whose skills have become second nature - a Hiden that is just as difficult to replicate as a Kekkei Genkai. Their abilities focus in a less combative area, for the most part. The following four abilities are modular and, as such, any combination (or none) of them can be taken. This may be done only at character creation. Versatile: A Taken may choose to possess their third specialization upon creation, which is D-rank. They can learn their fourth at B-rank if they choose this feature, and they can train their fourth spec and element to A-rank using 6000 words, and to S-rank using 9000. In addition, they can make passive jutsu relating to their other abilities - this is normally not possible due to either their generality or specificity, but a Versatile Taken can tie in their specializations and even other Tenji-Jiten abilities in less direct ways. [b]Description:[/b] This individual has the ability to perfectly recall their memory as it relates to their own experiences. The means by which they access their autobiographical data may be different. However, their sensory and factual recall is infallible, for better or worse - they never forget a single detail, no matter how minute or inconsequential it may seem to others. A Taken with this ability gains a free E-rank passive sensory technique upon creation, which requires Ninjutsu, Medical Ninjutsu, or Genjutsu - it doesn't require a chakra pool reduction, and doesn't register as chakra use to others. It has the minimum range for its rank, but can't detect any person/animal under a stealth technique of any rank. It, thus, isn't inherently for detection, but for inquiry and investigation into things one might otherwise not get to delve into closely – it allows monitoring outside of normal bounds (like line of sight or contact), and is thus potent in its pervasive accuracy and attention to detail. This sensory technique can, upon creation, utilize two out of either the five major human senses or chakra sensory. ~ Once while D-rank, and once after each promotion, the Taken can use 1500 words and 250 Ryo; each time they do so, they reapply for their sensory technique to rank it up, changing the range appropriately. The Taken are sometimes non-combat-oriented for more than one reason - some may be entirely unable to function as ninja in the normal sense. In respect to Endurance, Strength, and Speed, they would be entirely normal humans. Instead, they use passive jutsu to power their stats, of which they gain three D-ranks for free upon creation; they don't require a chakra pool reduction. The jutsu abide normally by the Stats Rules' speeds, basic attack power, and damage reductions. Thus, this is pure flavor - they don't substitute a jutsu's attributes for those of stats, and it doesn't result in any tier increases. It is only an alternate reasoning and method - stats must be trained as normal, as per the rules. Beneficially, these jutsu don't register as chakra to sensors, and the Taken doesn't appear to be using chakra due to them; they can't be forcibly shut off, even if chakra itself is suppressed. They don't have any of the following by default, but instead learn them. The first requires 2000 words, the second 2500, the third 3000, the fourth 4000. They are trained in the Jutsu Registration section, but don't cost Ryo. They can learn two at D-rank, and an additional one at each rank up. Cloaking: As natural information-gatherers, Taken with Medical Ninjutsu have the ability to use the Transformation Technique to a smaller degree without using chakra. They can change their physical appearance into that of another human, but they must create specific 'facades' to do so. (They have to apply for multiple face claims, and make multiple Appearances, in order to use them - they can't copy other people with this ability.) They can have 1 facade at D-rank, and get a second at B-rank. ⁍ If one has Ninjutsu in addition to Medical Ninjutsu, they can (at will, no cooldown, no cost) change their physical form slightly into auxiliary items, such as making one's fingers into lockpicks. This has no direct combat function, but yields an infiltrative and explorative utility that is limited only by one's imagination and ingenuity. Drone: The Taken have the learned skill to send out special chakra forms even as D-rank jutsu. These are much like Academy clones in the sense, that they are incorporeal, having no effect on the surroundings. They constantly relay back information, on top of having the same range and duration as a Shadow Clone. (Unlike clones, they are to have a set speed.) Notably, a Taken's chakra does not appear active due to using their Drone techniques. They can't be physically attacked with Taijutsu or weapons but can be neutralized by being hit with a jutsu of equal rank. ⁍ These chakra-forms can only use beneficial Supplementary sensory and stealth techniques, the Analyze feature, as well as Cloaking - due to not having a physical form, it can transform at will into anything the Transformation Technique would allow while still retaining their speed. If a Taken has Encrypt, Reality Hacking, and Cloaking, the Drones have their chakra suppressed, and are passively undetectable by chakra sensory jutsu and abilities of the same rank as Encrypt's variable requirement. (This only applies when they're not expending their allotted chakra.) If they have Genjutsu, they take on Encrypt's RT and Perception requirements in order to see them. ⁍ If a Taken has Fūinjutsu, their seals can't be undone normally, by simply analyzing the formulae. (Thus, simply having a certain rank of Fūinjutsu proficiency cannot undo their seals.) They require an unsealing-type technique of one rank higher rank than itself, or the Taken's rank upon its creation (whichever is higher) in order to undo or dispel it, simply due to the complexity with which it is actually made. This rises to 2 ranks higher when an information-protecting Sealing Technique is used. Physically breaking a seal that contains something else triggers a fail-safe which must be specified within the Sealing Technique. ⁍ Requires "Master of the Meticulous". Drawbacks: As field operatives that evade combat, those of this ilk have several disadvantages in direct struggles. Each Taken with the Analyze ability simply devotes too much of their faculties to information-gathering, neglecting evasion and blocking training - they receive 1 rank higher in damage from all attacks, except those that were reduced in power, such as by jutsu or armor. A Taken with an Eidetic Memory must take one SC among One-Track Mind, Slow-Witted, or Born Ill, and cannot balance it with a positive. Those Versatile users of Tenji-Jiten are very technical people, and do not have much intuitive aptitude for things like nature transformation. They do not possess a secondary element upon creation, and must train it after reaching C-rank for a base 1500 words. 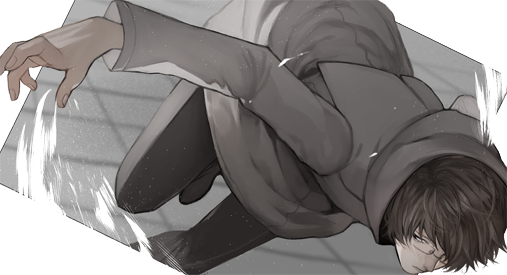 (Ryo is not required.) They can spread themselves widely, but at a cost - learning new specializations and elements requires an additional 1000 words. Obviously, a Taken with Alternate Faculties loses all ability to make normal physical use of their stats. They are still impeded, even if not in the intended fashion, by stat-debuffing techniques. As they progress with their training, a user of Tenji-Jiten loses bits of their proficiency with combat, among other areas of functioning that being a ninja normally requires. This may be represented in higher requirements to 'keep up' with others. They gain certain drawbacks depending on which and how many Espionage Arts they learn. True Otaku: The number of social threads required to rank up is increased by 2. One stat is reduced by 1 tier while you can detect signs of other people within 10 meters of yourself. (You choose this when you gain the Cloaking feature, and it should be recorded in the Jutsu Registration.) Cannot be taken at a ninja rank above D. If a Taken hasn't learned Encrypt by the time they reach C-rank, they lose the ability to. Dutiful: Taken who focus on ciphering tend to hole themselves up to create keys and complex techniques; they tend to get behind on their work, and need two more missions to rank up. One of these must be of the highest rank they can do. (Cannot be taken at a ninja rank above C. If a Taken hasn't learned Encrypt by the time they reach B-rank, they lose the ability to.) It takes 1 post of preparation, or 5 extra chakra, to Encrypt a Sealing Jutsu with its specific effects. Master of the Meticulous: Jutsu that benefit from "Reality Hacking" require 10% more words to train. Eidetic Memory: This is an interesting concept. Can you clarify the infalliable part of the ability? Does this mean they can always recall any memory or sensory trigger they have ever come in contact with? Analyze: So based on the rank of the sensory(E Rank), it can have a max radius of 1m or 5m direction range. Given all genin are D rank ninja, this ability can just start at D rank. Range increases need to be within jutsu guidelines, so you need to specify directional range or radius range for this technique. I’m not quite sure what you are trying to say for the cost of additional rank up jutsu. If you could clarify that as well that would be great. Alternate Faculties: I’m not quite sure about this feature. I’m inclined to say no given our stat system is central to combat interactions, but I will check with an admin. Cloaking : This First half of this ability is the KKG of the Kedōin clan so I will have to say no to that ability. The second half is fine however. Reality Hacking: This is ok.
Eidetic Memory has a small addendum to elaborate on what you wanted to know. Versatile: I prefer the later-learning, as it's a counterpart to earlier-learning. I wasn't entirely sure that I could do a D-rank passive due to the Guidelines, but that's only for jutsu not directly part of the Kekkei Genkai, now I see. Essentially, the base jutsu and its per-rank additions are passive jutsu that don't require chakra costs, but you can only ever sense chakra or any of the 5 human senses. Applying for additional jutsu would give you more means of analysis/detection, but would require the chakra pool to be lowered. Alternate Faculties: I should have made this clearer in my draft - the jutsu are simply there to explain how they use their stats rather than actual bodily strength/speed/endurance. The jutsu do not replace the stats functionality-wise; I still have to train like everyone else and abide by the Stats Rules. The jutsu are only saying my own body isn't where my stats come from. Drones: Clarified on interaction and how they work. Encrypt: Explained the two ways they function on anything outside of Sealing jutsu - either to protect information or to make their jutsu so complex that people can't easily analyze them for patterns, manner of function, et cetera. The latter requires the jutsu have sufficient detail in the writeup so as to actually make it complex. Drawbacks: Would a basic-attacks weakness in the same fashion suffice instead of all damage, so as not to be too harsh? Changed the third drawback to be Hesitant (Element), as you recommended. Unaccustomed: Removed the -1 tier to Endurance to tone it down. True Otaku, Dutiful: Removed the extra harsh bits as per your permission. Alternate Faculties while is a nice idea, I don't think is going to fly so i'm gonna have to say its gotta go. Maybe I'm just dense but drone still doesn't quite make sense. You need to reword it in a more clear manner. From what I'm gathering its still some kind of ghost clone type thing. Also it has to have a chakra presence as its literally made of chakra. Encrypt while an interesting concept, appears to honestly be limited to fuinjutsu, the only other application would be potentially against a sharingan for a technique but their copy wheel ability would most likely override this. Why not? It's not giving me any stat tier increases or anything, just "stats don't come from your body's physical condition", which I've clarified is still impacted by techniques that would do so by affecting one's physical condition. (Thus, this grants no immunities to debuffing jutsu.) I'd at least appreciate a thought-out response after this long a period - at least explain why you don't think it'll work, otherwise it just seems like baseless opinions being placed as if they were carefully deliberated rulings. How is it part of another clan's Kekkei Genkai? It's not the Kedōin clan's, which is my assumption as to what you're talking about - my disguises aren't 'perfect' as theirs are, and this can't transform into anyone they see - only preset personas who are most definitely not anyone else in the world, which I've limited even further in number to a maximum of 2 at A-rank. They're both Transformation-based, but that doesn't mean that they're infringing on each other. I'm confused on what I'm supposed to clarify here, as you are unclear about what actually needs rewording - I've tried nonetheless. The ability you reference is essentially 'chakra suppression' - it's not that it's not there, it's that it can't be detected. I've specified, though, that it only remains undetectable as such when it's not using chakra-consuming jutsu. I've removed the part about the difficulty of comprehending their techniques - the portion about general information protection remains, as that's much more germane to this ability. The only way I see you being able to use the alternate faculties is if you were to use three passive techniques that count each for their respective stats. They would never be able to go past the base rank i.e. A rank would only ever be A rank and could never reach A-3. Additionally there would need to be a mechanism for you to train these jutsu up that would be equivalent to someone training up their stats normally. I can float the idea to the admins but I highly doubt it'll fly hence my previous response. Up to you. While I still believe its part of another clan's KKG i'll bend a bit and allow you to do it on the condition the character must have medical ninjutsu to do so. It was my intent from the beginning to use stats' attributes in both training requirements and end execution - making passive jutsu was only justification to use another means aside from the body to power one's stats. I have made it clearer in the latest revision that this feature only changes where the stats are "coming from" and how they are put into action, not replacing stats with jutsu-level power. I've done as you asked and added Medical as a general requirement. I’d like to know whether or not the “Alternate Faculties” is basically just flavor text or not, because that’s really what it seems to be. If that’s the case, I’d really rather it just be left up to RP and stated that it’s purely flavor text. (To be fair, in canon, most of the shinobi are using chakra to enhance their physical prowess regardless. They aren’t naturally superhuman strong, it’s the chakra running through them that allows for the feats they have, even if not using a jutsu, so I’m not sure this is much different than normal) If not, then I think it might be a bit stronger than it should be, because that means it can be apped as jutsu, which means it circumvents a lot of training, ryo, and such, as well as are able to be used at a rank higher than the user, I.E, a genin able to utilize all “C rank” stats, etc\, without the drawback of losing chakra for each passive. Other than that, I actually like most of this as is. Everything has a balance already, it’s just a lot to take in. I would like to limit a bit on what can be used at what rank. Perhaps one Espionage Art per rank, starting after creation? By A Rank, it would then allow full use of all. Also, with “Analyze”, no on the Analyze ability being able to sense Electricity or other such things that would be associated with another KKG (Ryuzoji have the Passive Current Perception KKG, so having a KKG ability that allows for the same thing is infringement). If it is wanted later, it can be apped as a jutsu rather than a passive. Emphasis Added wrote: It was my intent from the beginning to use stats' attributes in both training requirements and end execution - making passive jutsu was only justification to use another means aside from the body to power one's stats. - as well as the writeup in the clan. Taken, Alternate Faculties wrote: It is only an alternate reasoning and method - stats must be trained as normal, as per the rules. I have already completely and very clearly addressed this as of the previous round of modding. That said, the jutsu are meant as a different form of the expression of stats, as opposed to solely being a different origin. You are correct, only making a different source would not lend itself to such a mention - so I allow for the stats' execution to be different from normal human methods as well. The jutsu are a means to that end, but they don't actually replace the stats' values or buff their tiers in any way. The capacity for non-human-sensory detection has been eliminated, though the addition option remains for senses humans possess other than the "main five". After all, human senses are marvelously varied. I've spread out some of the Espionage Arts. Heya Chiro! Adding onto Nozo's modding, let's see what we got here. The sensory for the “Analyze” ability has too much range for a completely passive jutsu, with C-Rank being the one that goes beyond even regular jutsu rules for sensory ranges (40 m instead of the 30 max). I would like that there either be no SS-Rank for this ability or have the word count and ryo cost be higher to get to S-Rank and SS-Rank, and that the ranges of all ranks be lowered a bit. I don’t like how many different abilities this clan can have from the get-go, it just seems like a lot. I would like you to limit it to 2 espionage arts per character (with the ability to unlearn them like a normal jutsu, if desired), and a maximum of 3 kkg abilities. I'd like you to explain yourself a bit more than "I don't like". Savant and Alternate Faculties are more flavor than anything else, the former given that everyone apparently remembers anything they need to in RP anyhow, and the latter already being explained in previous posts. I've already given rank restrictions to Espionage Arts, and now have raised the WCs necessary to learn them. This modding is being preapproved by Jet before I post it. If you disagree with my modding, I can pass it up for an admin ruling, but that will only slow this process more for you. I'm sorry. For Analyze, it must have a chakra pool reduction. All passives do, no matter what. Since it starts D-Rank, I would say it reduces chakra pool by 15 at its base. Next, put in an explicitly stated base range for it and then the numbers for each rank; they cannot be max range for sensory, for the sake of balancing. Furthermore, if Analyze were to rely on human senses, then it is technically either Taijutsu or Medical Ninjutsu, so either its mechanism needs adjusting or specializations to take Analyze need to be adjusted instead. As for the ability to add more things it can detect, that is giving it way too much potential to one passive jutsu, so that is a no go. Just because it's preapproved by someone doesn't mean you shouldn't have some sort of rationalization to fall back on when asked. Sure, it's OK'd by an admin, but what about the mental process which created that modding, especially for when you're not being constantly vetted by a superior? I'll ask Ashes herself about this modding when she's less busy, as I know she's pretty much swamped. Demonstrable logic and thoughtfulness surrounding the previous modding round do not require her, though. Ninjutsu can pretty easily create out of chakra similar sensory perceptors, if not identical ones. Clone techniques are an example. An Analyze ability doesn't have to necessarily extend the human senses in order to utilize them, it can also duplicate them and relay the information back. I've added the requirement of Ninjutsu, (self-cast) Genjutsu, or Medical Ninjutsu, as those are all pretty feasible ways to relay sensory information. I'm not sure what I'm supposed to do here, because I was chastised before when it was static, rather low in range, and separate from jutsu rules' ranges, but now I'm supposed to add another drawback for having it based on written rules. I've changed it to minimum rather than maximum for the rank, and lowered the base rank to E, but past that I request guidance as to how to actually make this work without a chakra pool deduction.